Free Yourself! 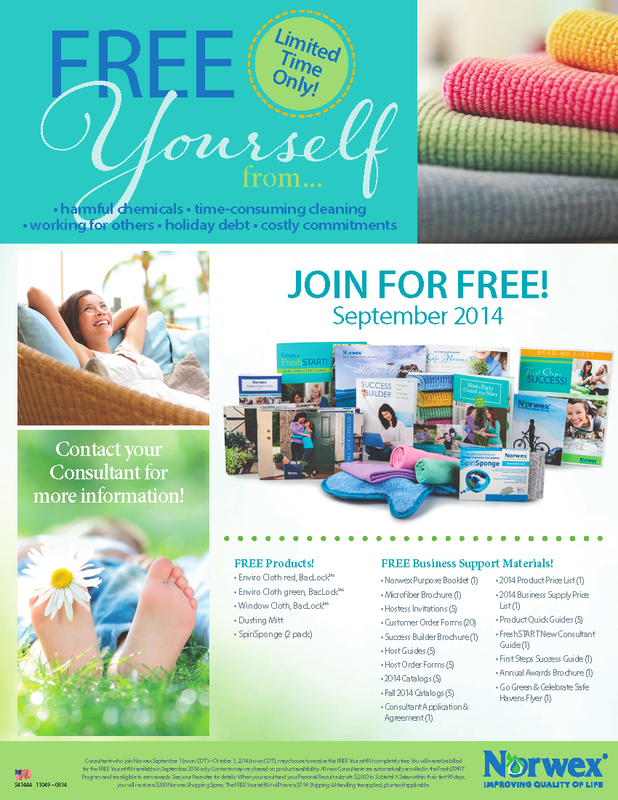 Join Norwex FREE in September 2014! Join my team for FREE in September 2014! Consultants who join Norwex September 1 (noon CDT) - October 1 (noon CDT), may choose to receive this FREE Yourself Kit completely free. You will never be billed for the FREE Yourself Kit available in September 2014 only. Contents may vary based on product availability. All new Consultants are automatically enrolled in the FreshSTART Program and are eligible to earn awards. The FREE Yourself Kit will have a $7.99 Shipping & Handling fee applied, plus tax if applicable.